Current Indian telecom networks face a long road ahead to meet the requirements of 5G. Ciena’s Digvijay Sharma explains why Indian service providers need to overhaul the network to leverage the full potential and vast possibilities of 5G technology. This article was first published in Communications Today. The Indian telecom industry is going through interesting times. As it starts to take initial steps toward the 5G and Internet of Things (IoT) era, it is time for the telecom service providers to modernize their networks to maximize the possibilities of 5G technology. Recently, the Indian Government allocated INR224 crore for the creation of a 5G testbed, which will be established in collaboration with the Indian Institute of Technology (IIT) and Indian Institute of Science (IISc). Furthermore, the Indian telcos have started exploring advanced radio technologies, such as massive multiple-input multiple-output (MIMO) and carrier aggregation. India's largest service provider, Airtel, has already deployed carrier aggregation and massive MIMO for operational and spectral efficiency. The other mobile network operators, including Vodafone India, are also experimenting with massive MIMO. The coming few months are likely to witness many more trials of such advanced radio technologies for 5G and their relevant use cases as the 5G standardization process gathers momentum. The 5G new radio (NR) non-standalone (NSA) standard was approved in December last year. The next set of standards are likely to be announced later this year. Ultra-high-throughput access speeds coupled with an extremely low latency of less than 1 millisecond means that a number of 5G use cases such as remote surgery, augmented/virtual reality, and India’s Smart City initiative, amongst others, could become a reality. 5G technology promises support for connected vehicles and billions of other connected sensors and devices. Ultra-high-throughput access speeds coupled with an extremely low latency of less than 1 millisecond means that a number of 5G use cases such as remote surgery, augmented/virtual reality, and India’s Smart City initiative, amongst others, could become a reality. It goes without saying that when the use cases are so extensive and disruptive, the networks require a major preparation to meet these noteworthy challenges. How Can Telcos Prepare their Networks for 5G? While 3G and 4G networks were optimized designed to transport mobile broadband traffic, 5G demands a different approach, as it will carry a myriad of traffic types with very different networking requirements. Mission critical services, the IoT, and extreme mobile broadband services are just a few examples of the kind of traffic 5G networks will be supporting; for which each of them have very different performance requirements that the 5G network will need to deliver. According to Deloitte’s study developed for India’s Department of Telecommunications titled Broadband Infrastructure for Transforming India, less than 15 percent of the base stations are fibred in India. 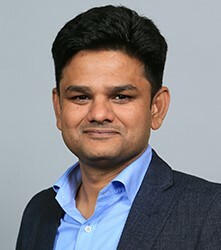 India’s service providers will also need to leverage the principles of virtualization through software defined networking (SDN) and network functions virtualization (NFV), which enables network slicing, where service providers can logically carve a single physical network into a number of virtual slices and operate them with different performance parameters. It is this concept which ensures low latency, high capacity, and prioritization of services; beyond just native MPLS L3VPNs or L2VPNs as seen in LTE networks today. Service providers will also need to upgrade the backhaul network from microwave to fiber. Fiber densification of the network is also a crucial aspect to prepare the networks for 5G. According to Deloitte’s study developed for India’s Department of Telecommunications titled Broadband Infrastructure for Transforming India, less than 15 percent of the base stations are fibred in India. The existing microwave technologies can no longer support the required backhaul capacities. Massive fiber densification in the access layer will be central to the successful commercialization of 5G. What this means is that as the data requirements on mobile network grow mobile network operators will need to deploy more cell sites, which ultimately will be connected by fiber and Ethernet; especially for the case in 5G fronthaul. 5G demands networks that are programmable, intelligent, and automated. The right mixture of automation, intelligence, and scale is essential to continuously tweak the network to adapt to the changing capacity, massive number of devices, and frequent device mobility. It is then essential to disrupt the current network architecture, so it is more adaptive and in keeping with the changing times and market reality. 5G will be a long, multi-year journey, and an interesting one at that.